Ten months after the forced resignation of Health and Human Services Secretary Tom Price, an audit of his controversial overuse of charter and military aircraft found that his team failed to comply with travel regulations in 20 of 21 trips reviewed—at a cost to the government of $341,000. “Examples of noncompliance related to use of chartered aircraft included not completing a cost comparison to commercial airline service, not adhering to contract requirements, and not properly authorizing the use of chartered aircraft,” wrote HHS Inspector General Daniel Levinson’s team in a report released on Friday. 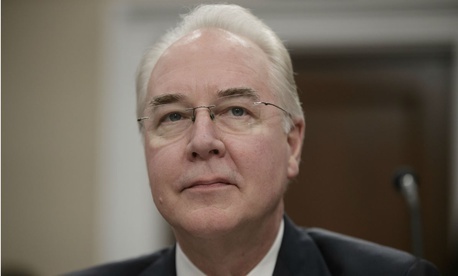 The review of Price’s use of commercial and MilAir planes for trips from February to September 2017 included mostly domestic flights to such destinations as Seattle, San Diego and Stillwater, Okla., but also several to Europe, Asia and Liberia, in some cases with his wife. The total was $1,185,045. The IG found that Price complied with federal regulations, HHS policies and Office of Management and Budget guidance in only one of 21 trips (with 61 legs) reviewed, including all 12 chartered aircraft trips. “Insufficient review of authorizations and vouchers and many employees’ failure to complete required travel card training contributed to these instances of noncompliance,” the auditors wrote. The report explained how the assistant HHS secretary for administration, based on input from the secretary’s scheduling and advance staff, prepares a memo giving the justification for chartering an aircraft. That in turn must be approved by the department’s deputy general counsel. The IG recommended that the Office of the Secretary (now led by Alex Azar) review the lack of compliance with federal requirements and determine appropriate administrative actions to recoup $333,014 related to the authorization and use of chartered aircraft, $4,926 related to travel that started or ended in locations other than the official duty station, and $2,960 related to other excess travel costs. The report also included a memo sent by White House Budget Director Mick Mulvaney last September reminding agencies to follow guidance on approving travel plans. Auditors in addition pinpointed possible improvements in approval procedures and internal controls, to which the current team at HHS largely agreed. Reached in Atlanta, Price told Government Executive through a spokesman that "there is no indication in the IG report that the paperwork and regulatory issues of department staff were anything other than good faith mistakes.” Noting that he was not interviewed for the audit, Price added, "Media coverage inaccurately states the report takes issue with" his actions. "In fact, the report addresses overall functions of department staff charged with administering travel." He saluted the dedication of the HHS career professional staff. This story has been updated with comment from Price.